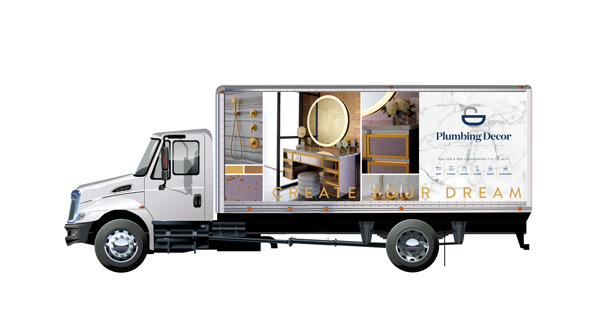 Plumbing Decor is an upscale importer and manufacturer of high-end home decor and plumbing fixtures. Working together with experienced and up-to-date interior designers, they have successfully designed and supplied numerous upscale homes with their unique, quality products. 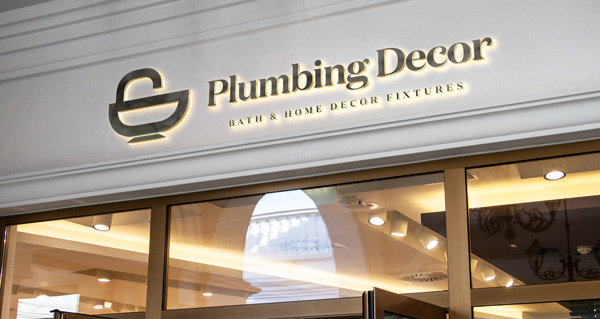 When the folks at Plumbing Decor approached us about branding their company, we knew that this would not be an easy task. We were starting from nothing and needed to build a brand identity from the ground up, without any prior customer base or existing product line. But our team was up for the challenge, and we immediately rolled up our sleeves and got to work. Creating a brand identity is a complex process and involves a lot of brainstorming and research, as well as the input of multiple team members, followed by implementation of the ideas we came up with. 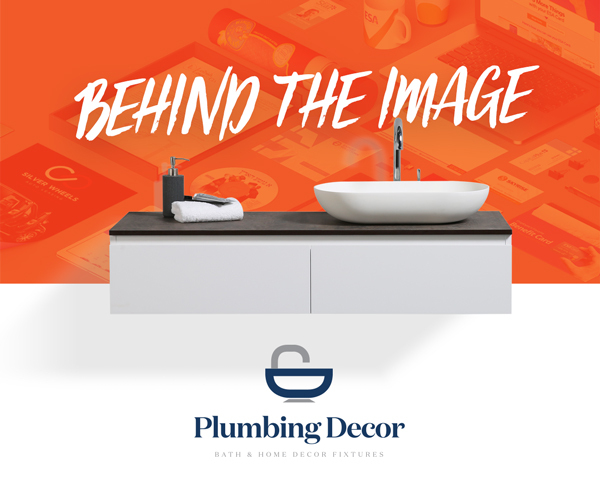 Below we will walk you through the final steps we took in creating Plumbing Decor’s visual brand identity and logo design. 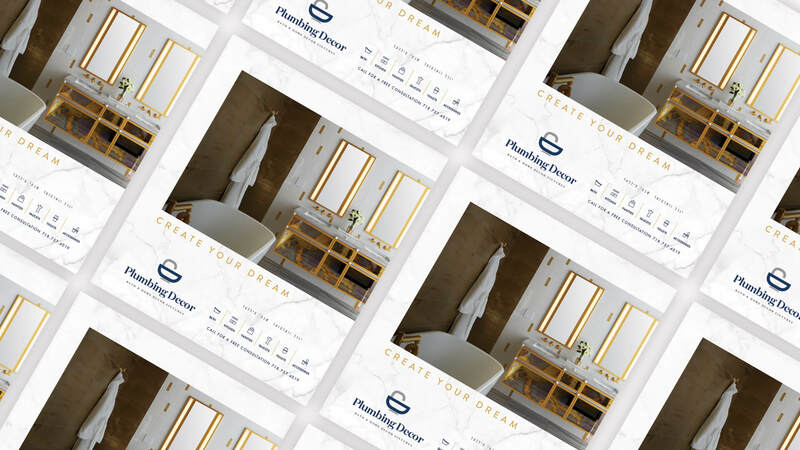 In crafting a visual identifier for Plumbing Decor, our main focus was to inspire consumers with the company’s uniqueness and the quality of its products. We started by searching for a font that would deliver that message and chose a unique serif font which we used for the company name and sub line. We then moved on to create a custom icon by combining the initials of the company name to form the shape of a bathtub. By doing so, we created a unique branding element that will be memorable to customers while visually portraying the product line of the brand. The result was stunning, seamless branding, with all marketing and branding elements working together to bring out the vision we crafted. We finalized with a high-end, clean advertising campaign that captured the consumer’s eye with its high-quality, modern look.